A group of over 30 scientists met in Oslo on January 17th to try to solve an upcoming problem: how are we going to feed 10 billion people without using up all our natural resources? That is the estimated amount of people that will populate the world in the year 2050, and is a critical number. Our current eating habits make it impossible to feed such a large population without destroying much of our natural habitat. Therefore, several researchers have worked for two years to discern what would be the ideal diet in the future, focusing not only on health but also on sustainability and climate change. 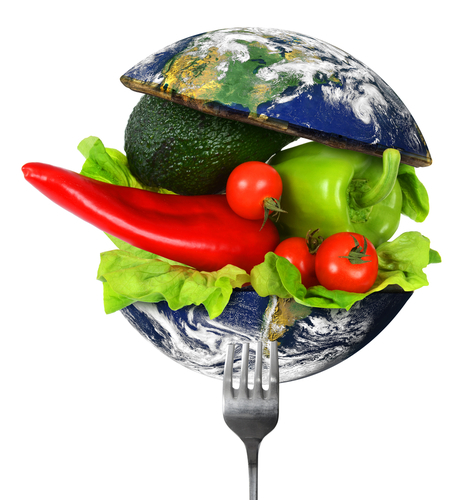 The result is the “planetary health diet,” published in the scientific journal Lancet. In this diet, meat and fish are dramatically reduced, with a larger focus on fruits, nuts and vegetables. But the recommendations are more than just changing the diet. Food waste must be reduced, and the amount of food production on current farmlands should be increased. This is a matter of grave concern, and several news channels have made echo of the report, such as the CNN, BBC, Time, the Guardian, or the New York Times. Now, the objective of this group of scientists is to go to the governments and international agencies to increase awareness and propose these changes. They are aware that the recommendations are highly demanding, but at the same time request to try to meet as best as possible the guidelines, in order to maintain a healthy, sustainable society for decades.